It has been 25 years since the release of The Elder Scrolls: Arena on PC so Bethesda have taken the opportunity to release a bundle of items on the Creation Club to celebrate. In case you were unaware, the Creation Club is the add-on shop for The Elder Scrolls V: Skyrim for the Special Edition version of the game on PS4 and Xbox One. The 25-year Anniversary bundle costs a total of 2500-credits which totals up to about £20 in non-virtual currency. A dozen items are included in the bundle and the items themselves vary in purpose. For your £25 you can expect a decent variety armour, weapons, a pet and new alchemy ingredients that can be used for crafting. Buyers beware, if you already own any items contained within the bundle the price will remain the same. If were hoping to get something for free from the celebration and you are feeling particularly stingy, Bethesda have also made the Nordic Jewellery Creation Club item free for a short while. Bethesda have recently added some new items to the Creation Club which may be of interest if the items on sale don’t strike your fancy. 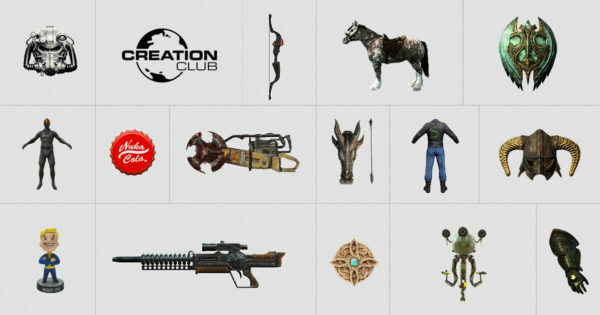 There is a total of four new items in the Creation Club. The Shadowfoot Sanctum costs 400-credits and is a thief themed sewer hideout that functions as a player home. Another 400-credit add-on introduces the Spell Knight Heavy Armor set that comes in a total of three different variants: the armour can be obtained via a new in game quest. Two new nostalgia themed 500-credit weapon add-ons also arrived in the newest update. One add-on includes the Umbra sword: the weapon can now be obtained in Skyrim through the purchase of the add-on and a new quest. The Arms of Chaos add-on introduces two new staves into Skyrim and a quest that explores some of the in-game lore surrounding the Staff of Chaos which appeared in The Elder Scrolls: Arena. 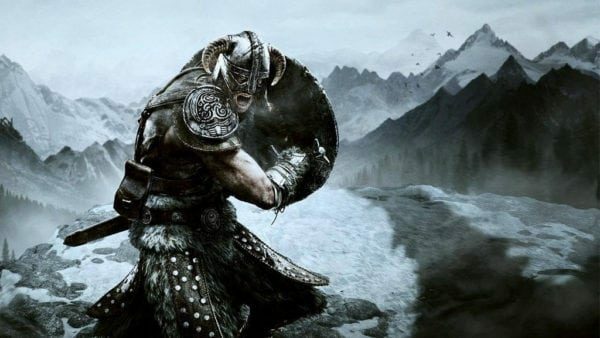 As with most things on the internet, the Creation Club has been the centre of controversy in the past and some Bethesda fans have even gone to the lengths of starting a petition to see it closed down. Bethesda never seemed to be too bothered as new updates for the Creation Club seem to come around every few months anyways which will probably result in some more content in the coming months.